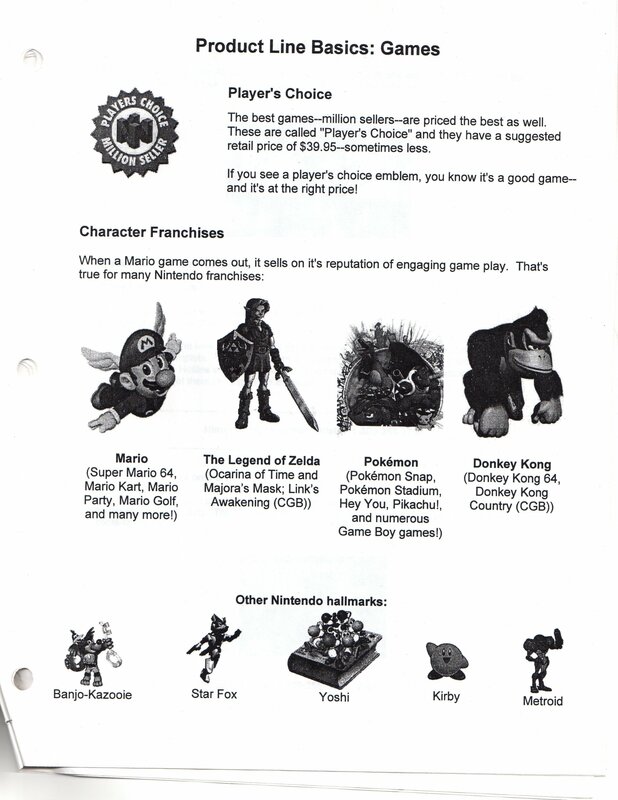 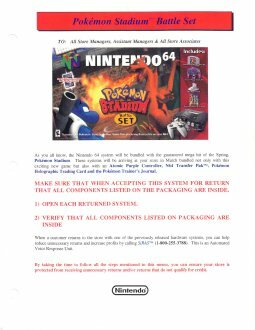 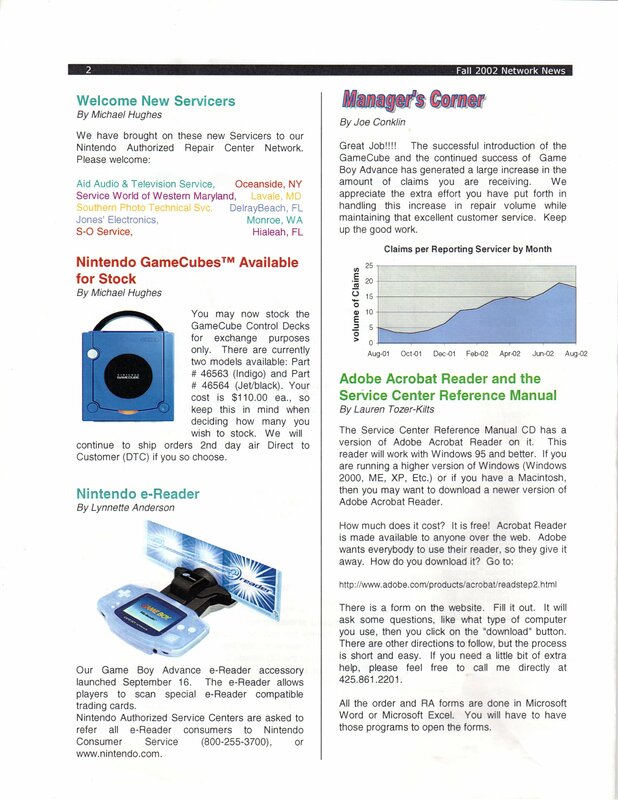 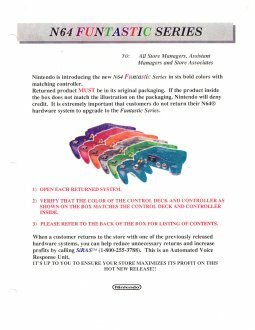 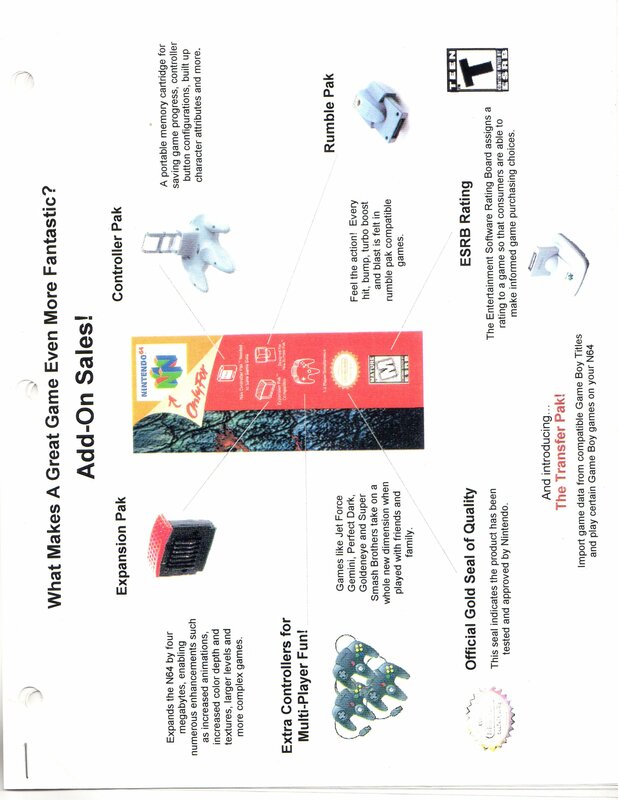 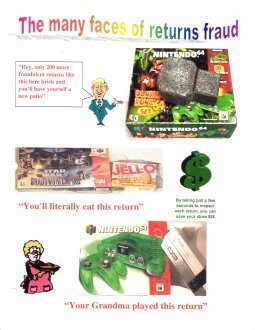 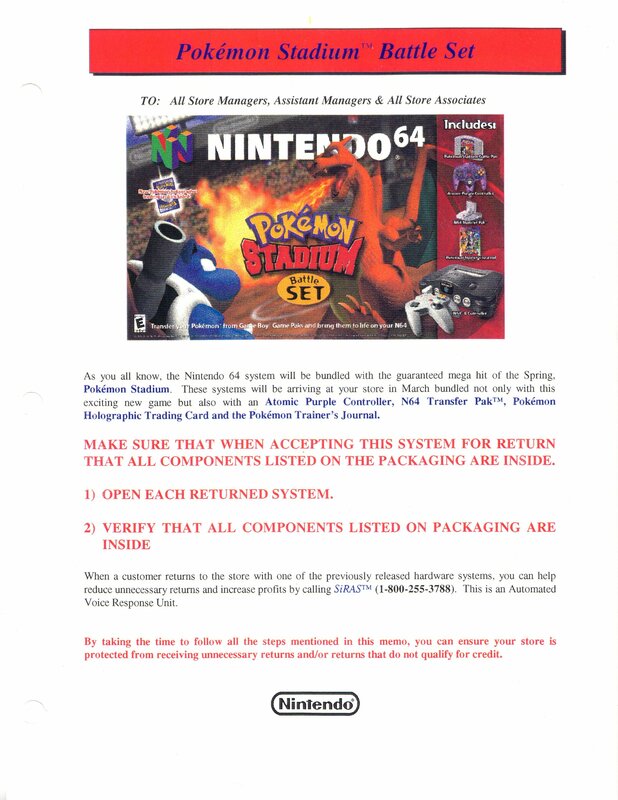 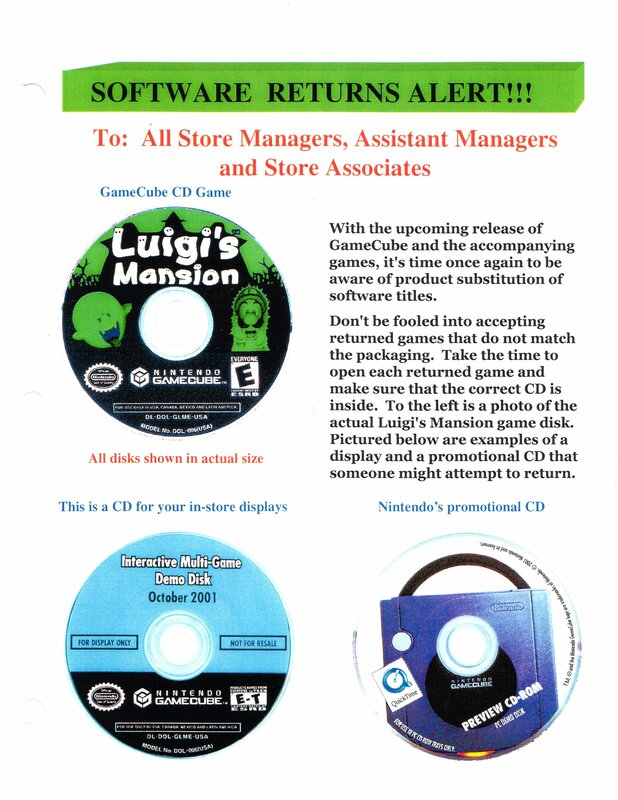 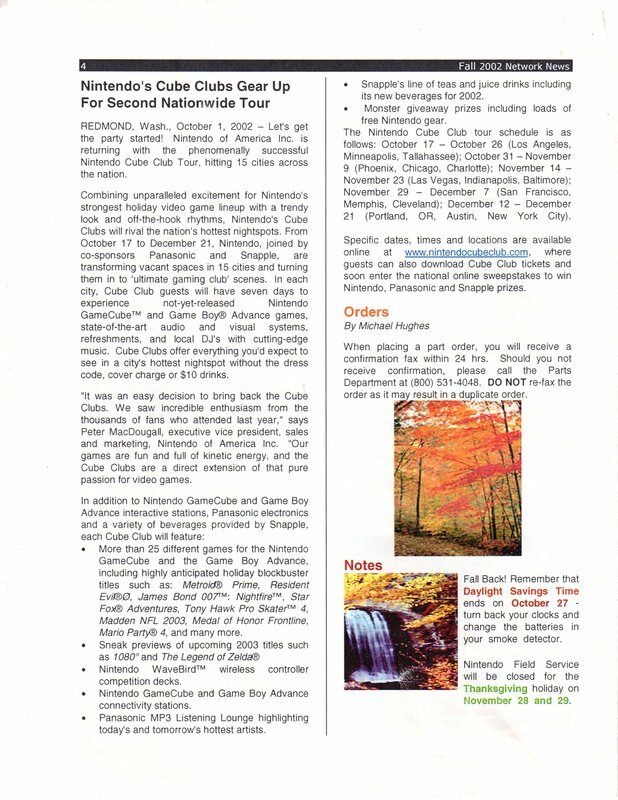 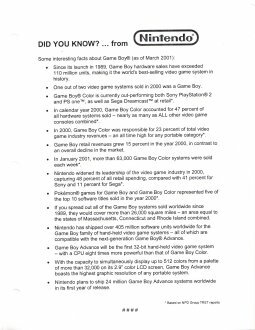 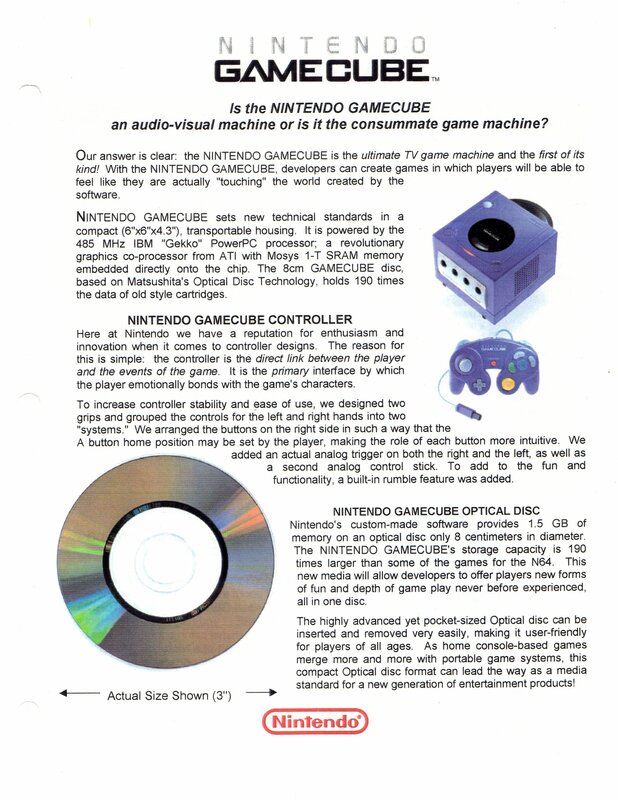 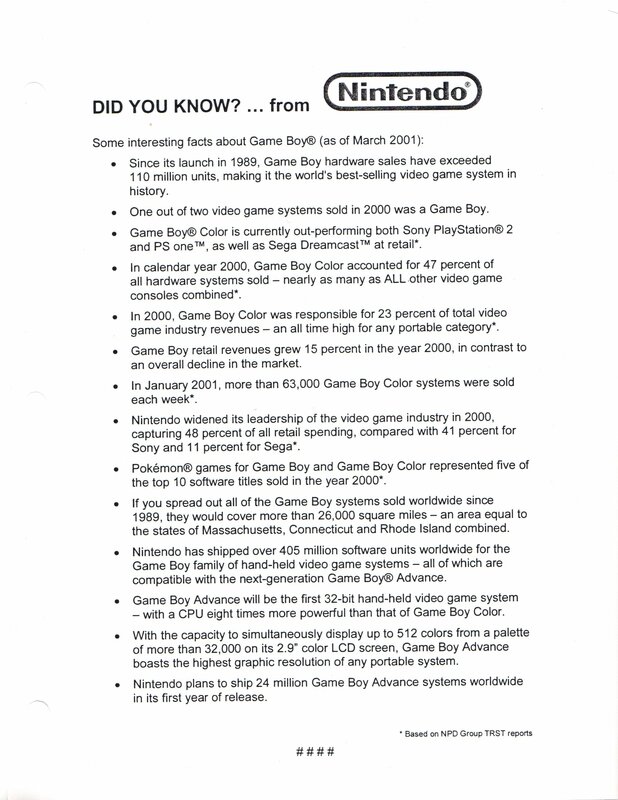 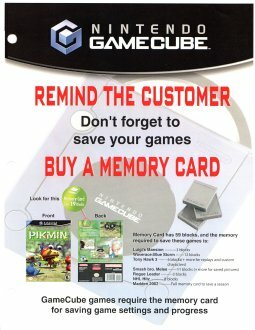 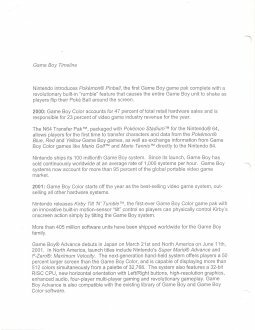 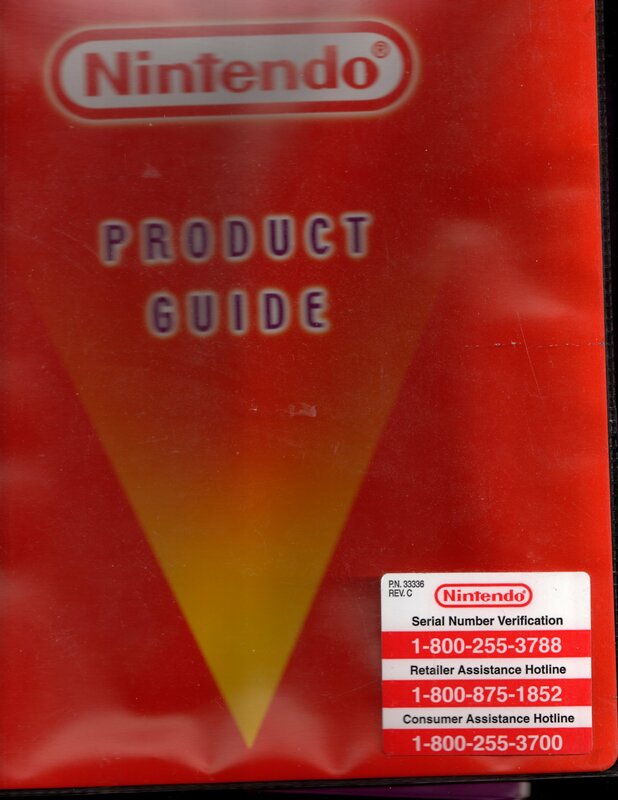 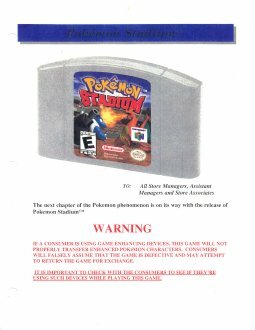 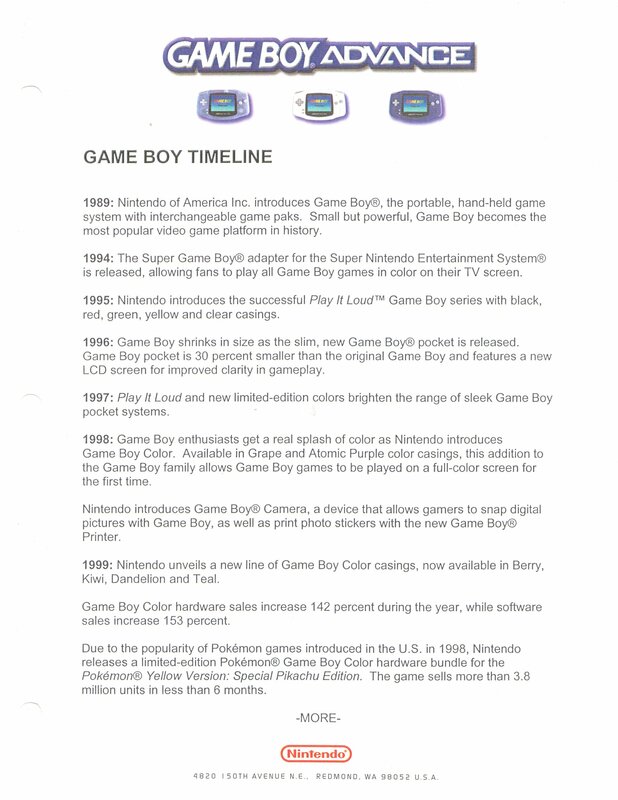 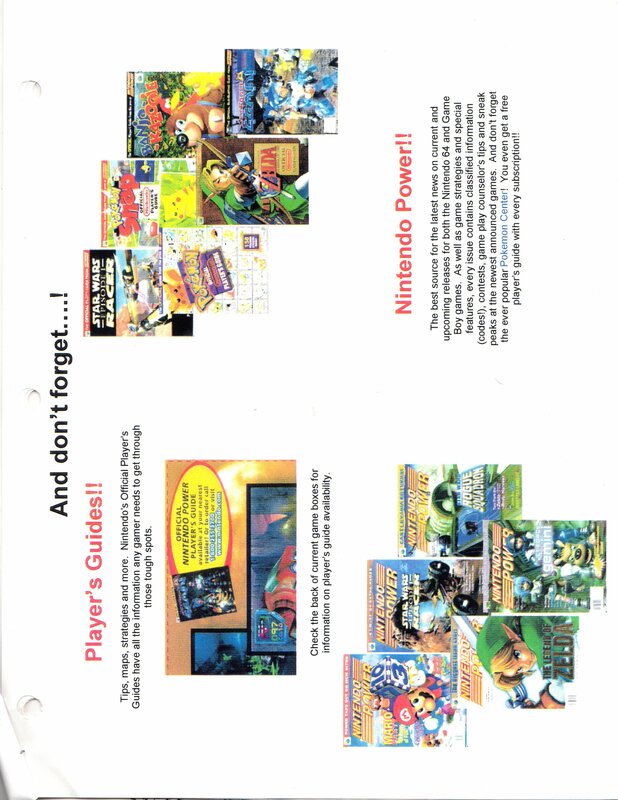 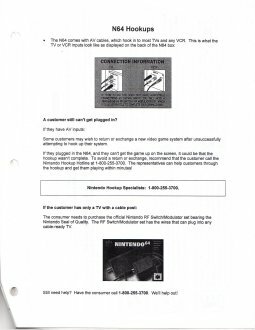 This Nintendo Product Guide was given to a game store by Nintendo of America right before the release of the GameCube. 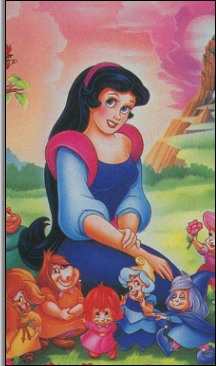 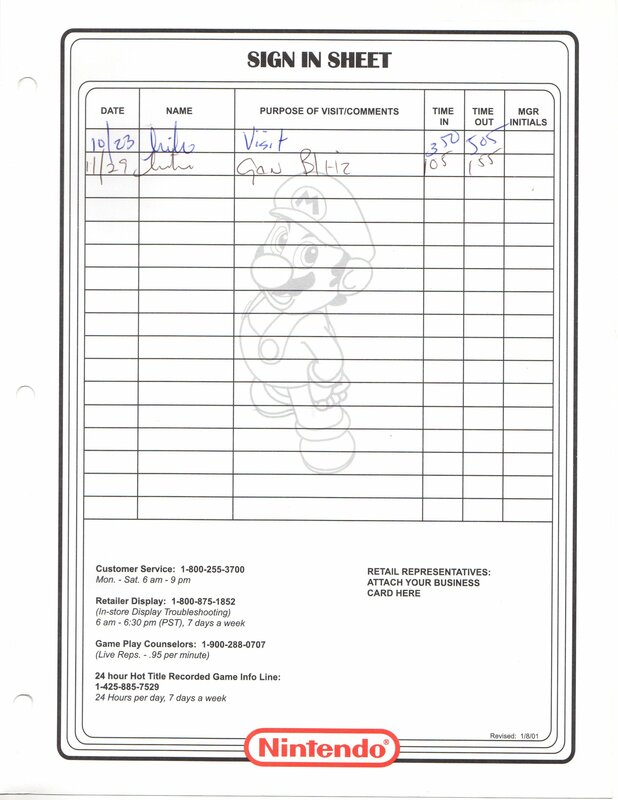 Store specific information was removed for private corporate reasons. 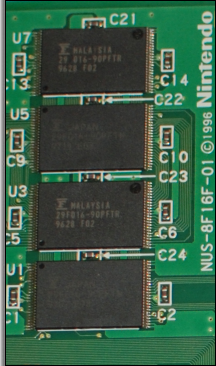 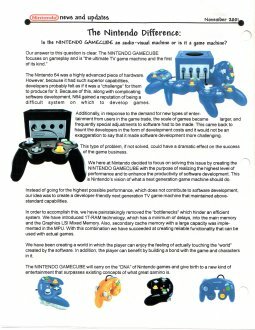 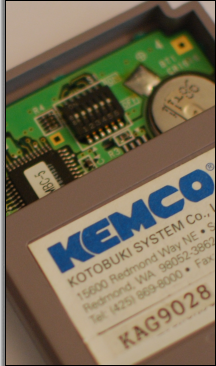 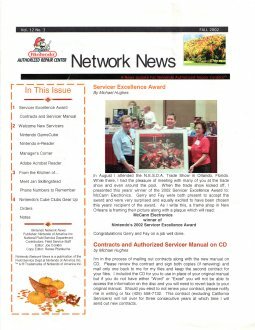 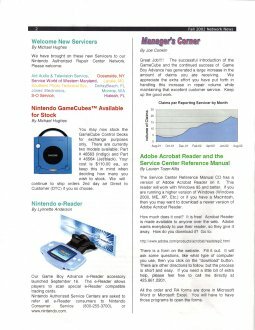 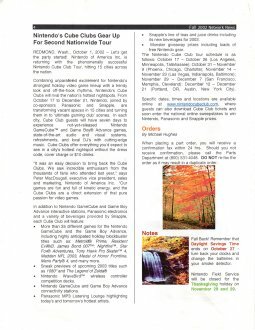 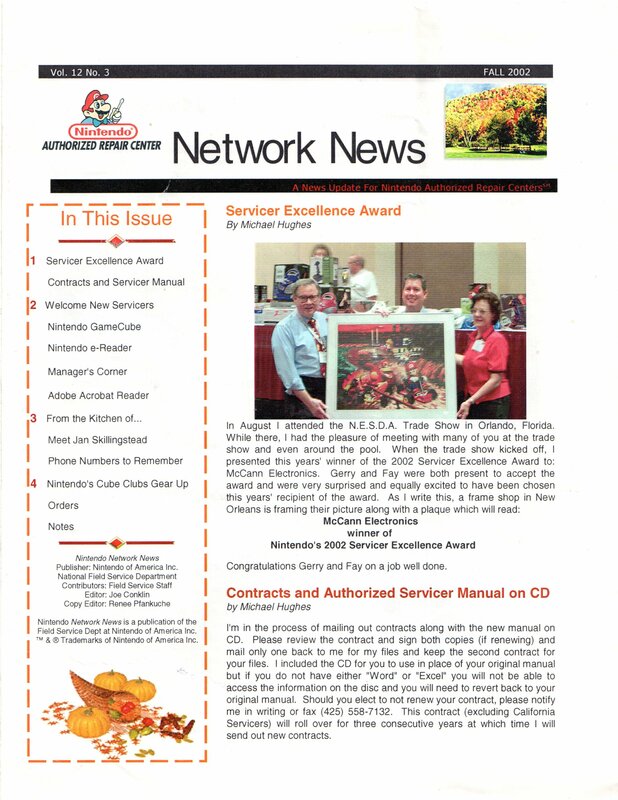 News & Updates, referred to as “Network News,” is a Nintendo Authorized Repair Center newsletter that touts the virtues of the GameCube and the Game Boy Advance. 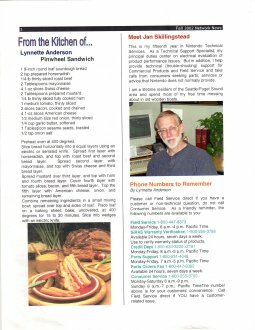 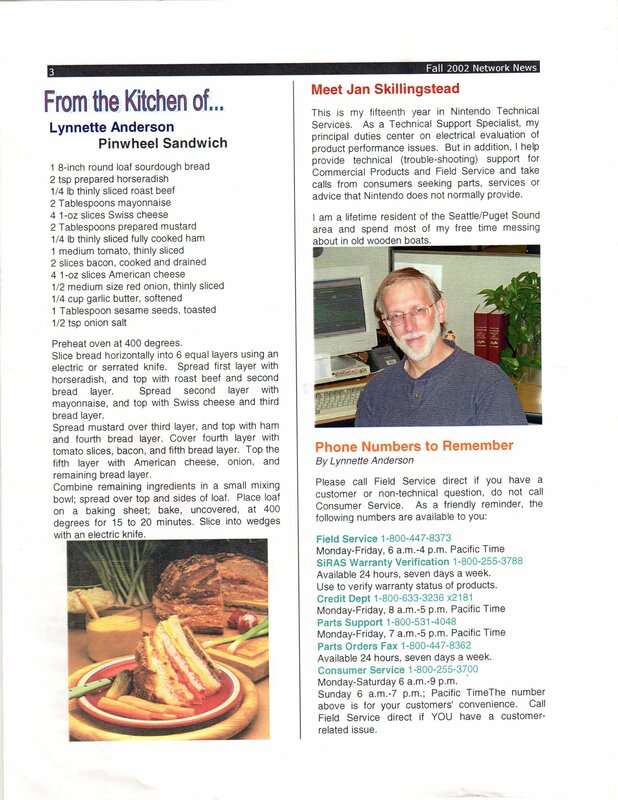 The newsletter also includes a recipe on how to make a delicious roast beef sandwich. 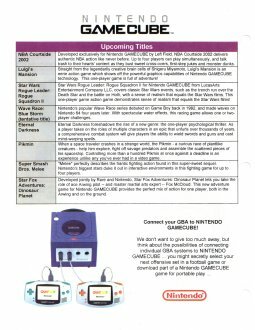 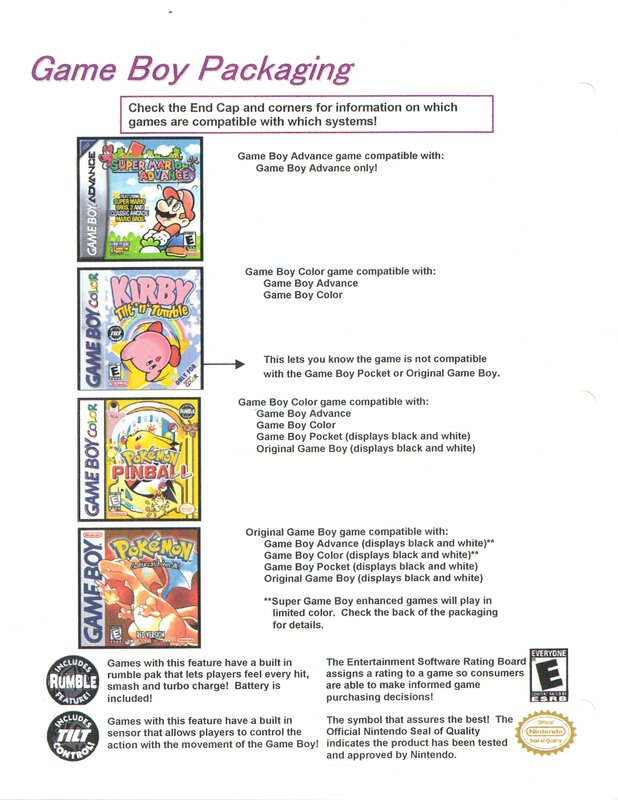 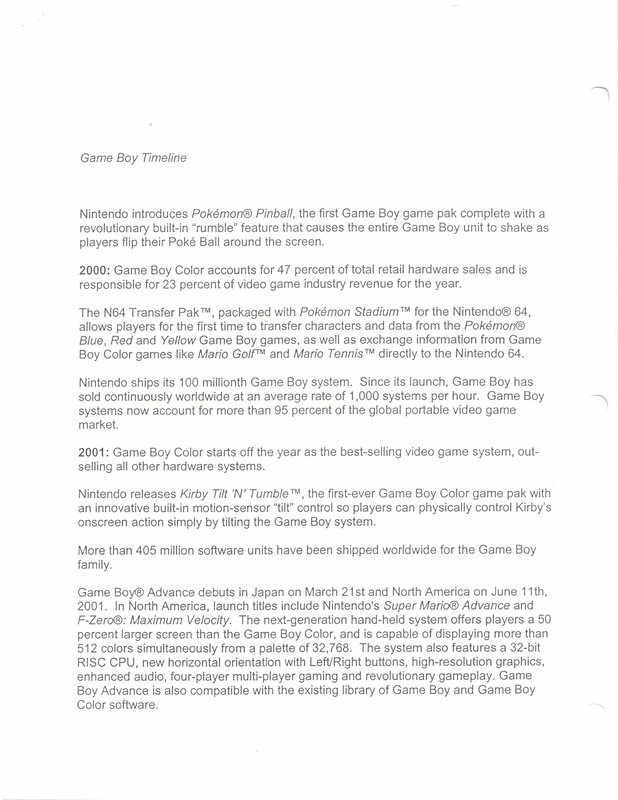 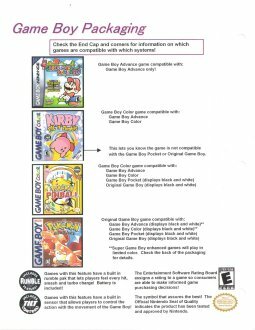 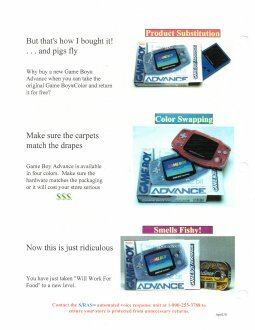 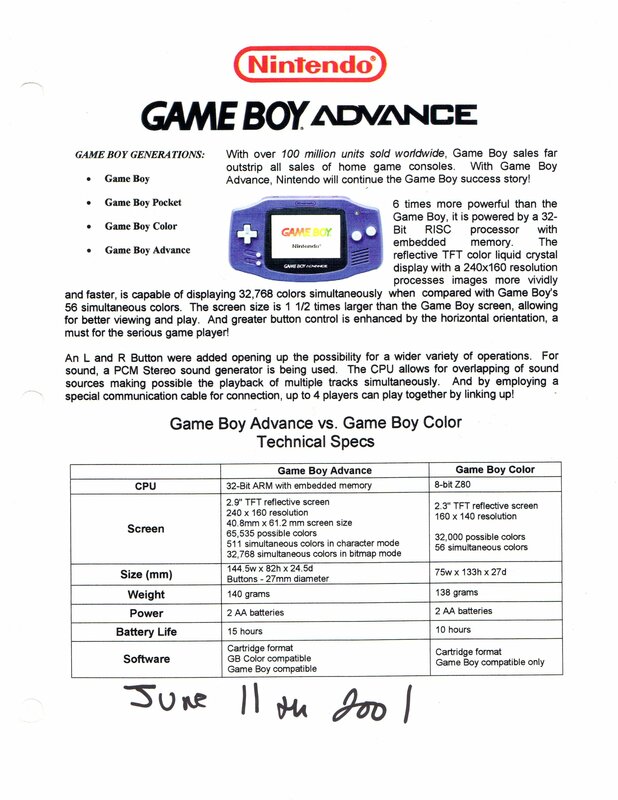 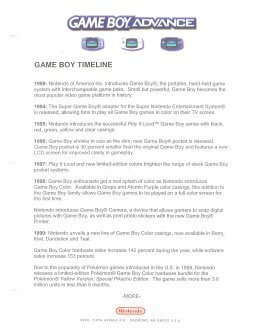 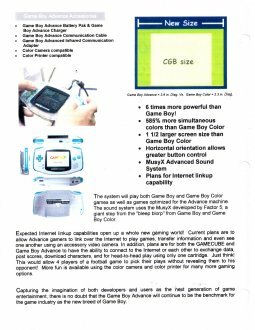 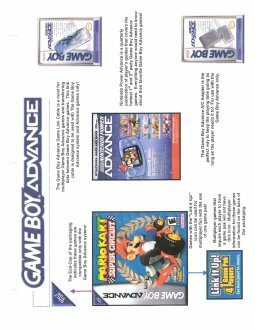 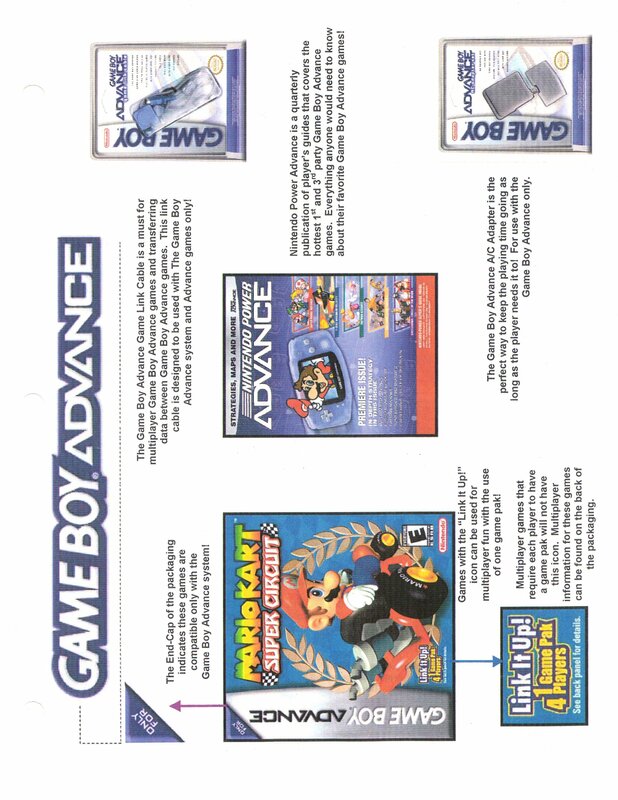 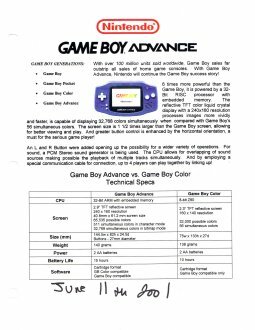 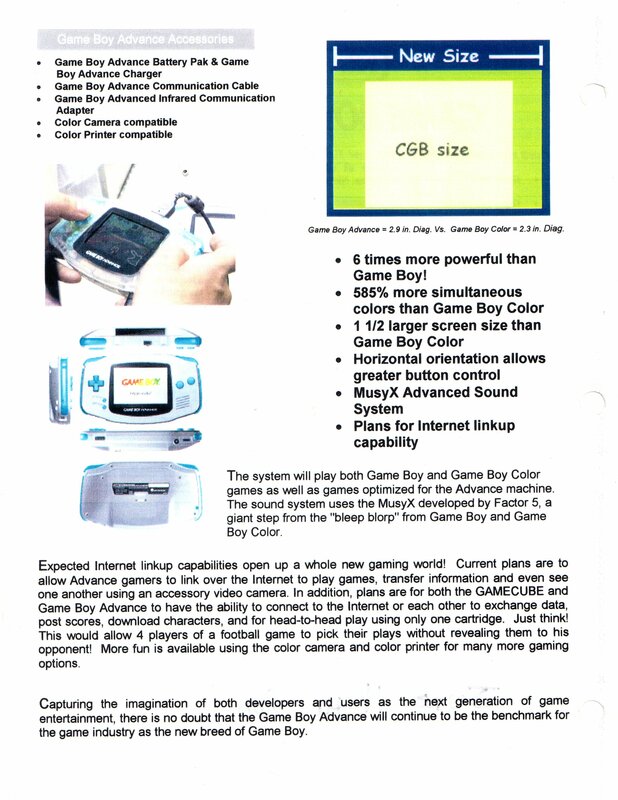 New product information displays specs for the GameCube and the Game Boy Advance, and showcases upcoming titles. 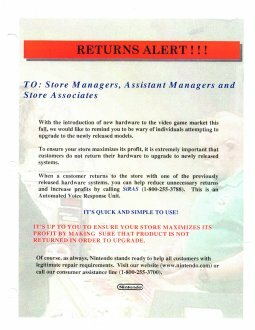 SiRAS/Returns Information starts out with information about SiRAS.com, a department of Nintendo’s Electronic Registration Program, which is designed to manage services to reduce store returns. 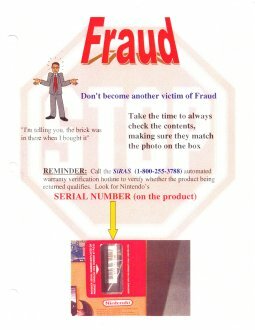 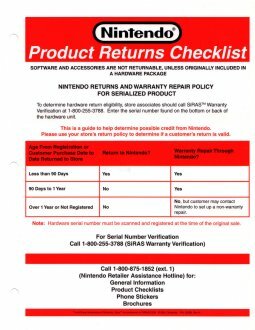 SiRAS works by storing UPC codes inside of its database, so upon the return of a Nintendo product, the store only needs to check that code on the SiRAS website or via an automated telephone service. 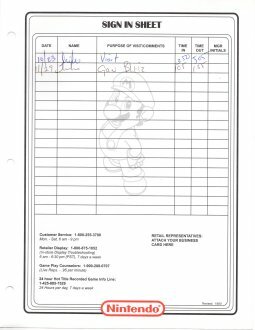 This saves some hassle if the customer does not have a store receipt. 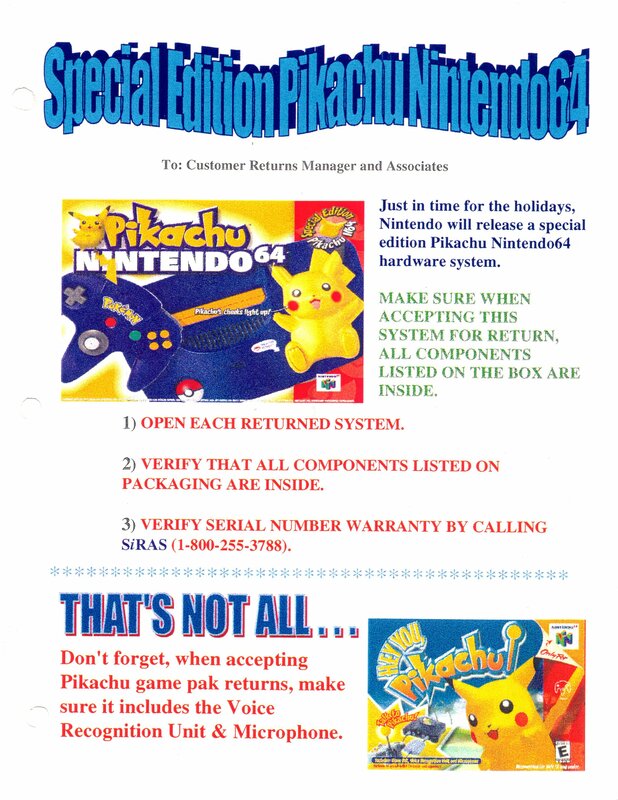 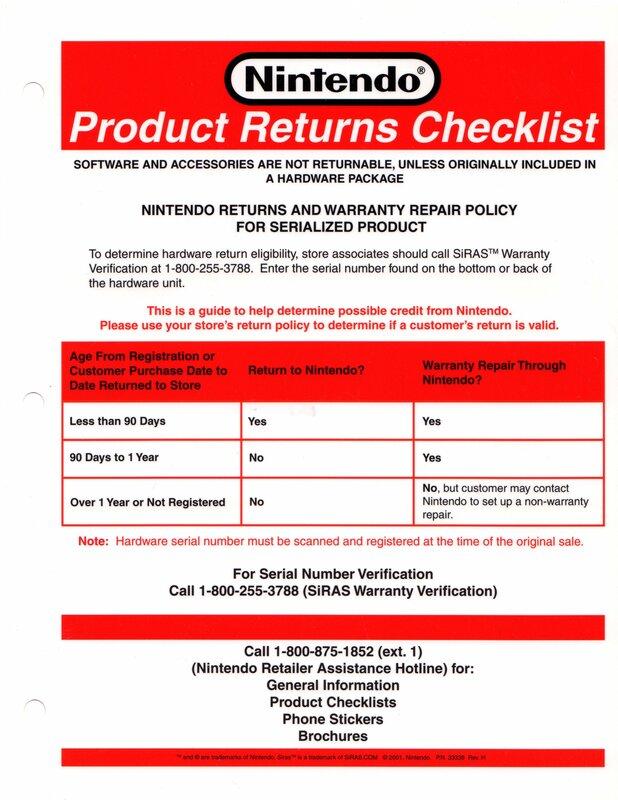 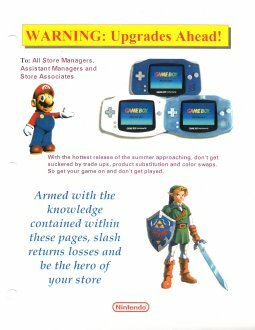 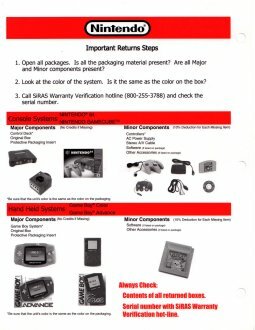 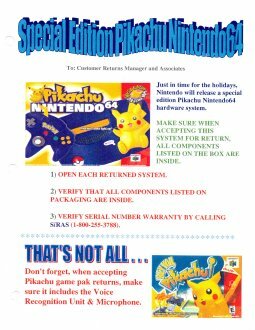 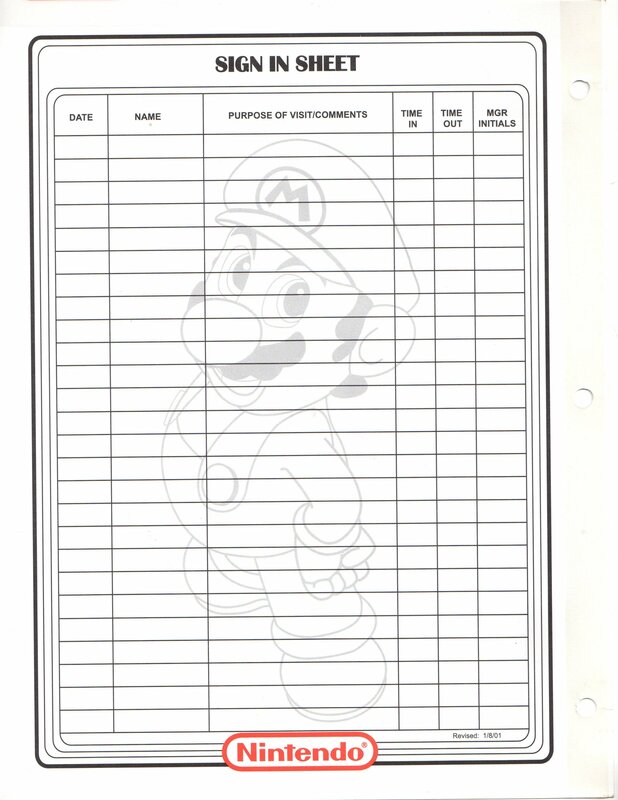 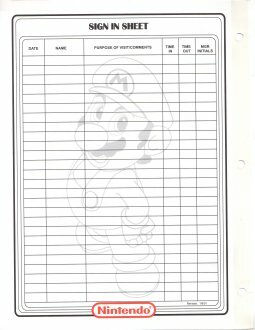 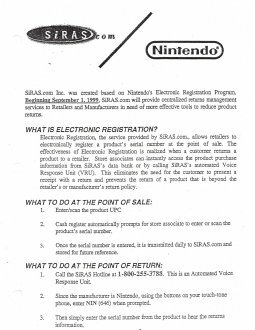 The next page of this section is Nintendo’s product returns checklist, which explains return and repair warranty deadlines. 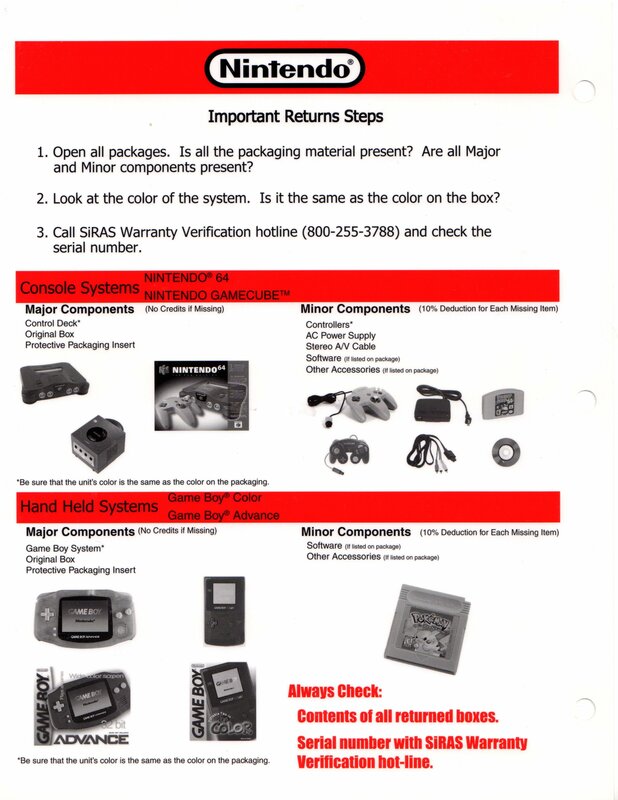 A hotline number on the bottom is provided for stores to order more checklists, phone stickers, and brochures. 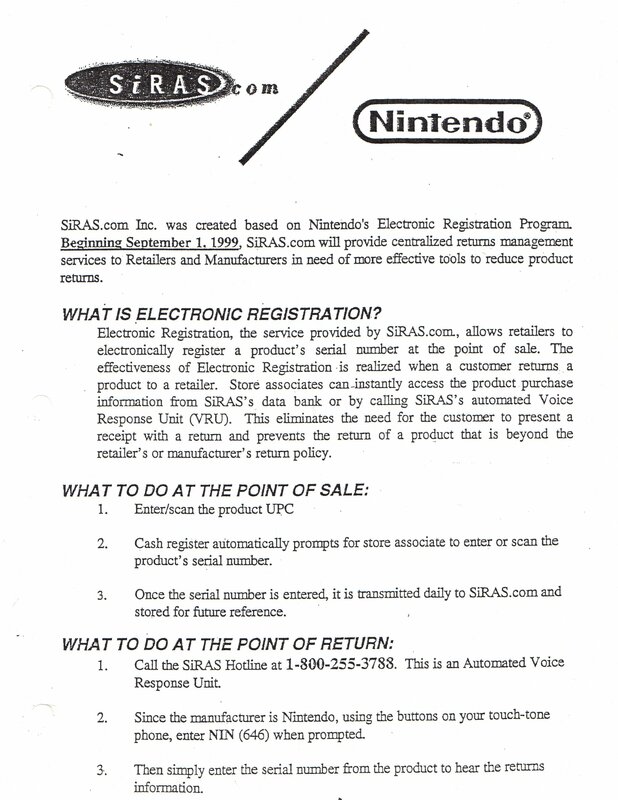 On the flip side is a list of steps that Nintendo suggests stores follow when accepting returns. 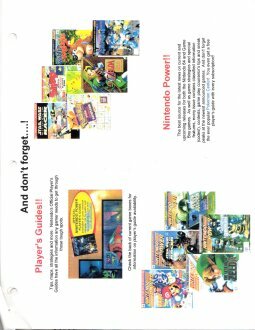 Miscellaneous is a catch-all category for Nintendo to advertise all of its accessories, games, guides, and magazines for bulk ordering. 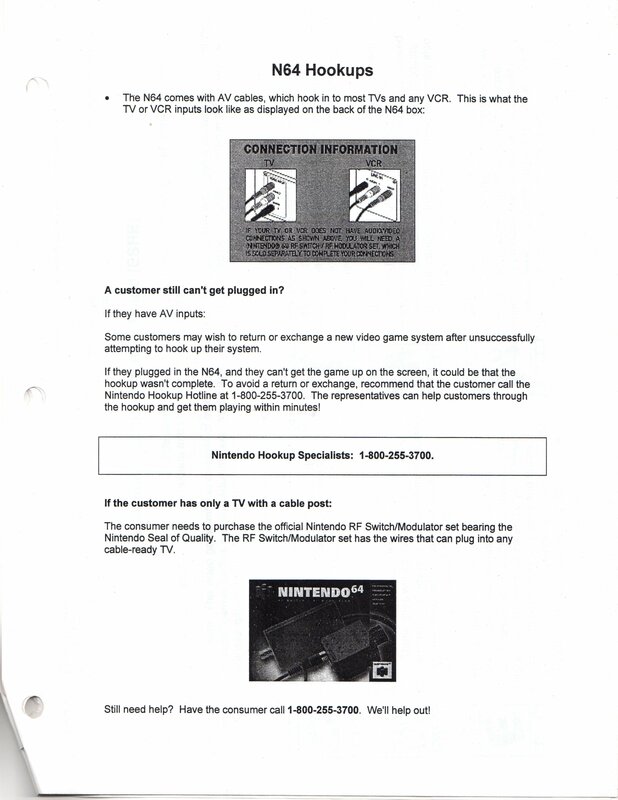 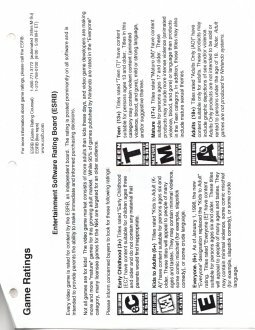 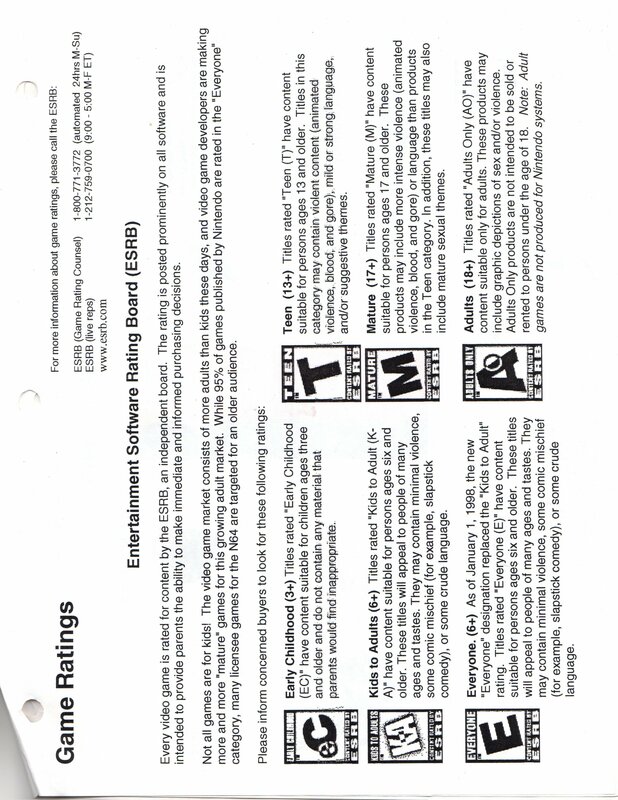 This section also features common customer questions, ESRB game ratings, and a sign-in sheet for customer service representatives.